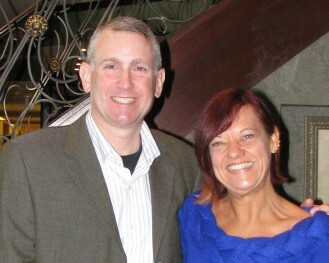 We are Phil & Nikki Shames, Owners of Ecosuds Carpet and Upholstery Care and Ecosuds Products. We are passionate about helping you “Get the Ugly Out” of your home and business. We do this by providing the very best environmentally friendly carpet cleaning and upholstery cleaning for your home and business. It uses 1/40th of the water that steam cleaning uses. The cleaning solutions are Green Seal Certified. The machines can be carried in fuel efficient vehicles rather than gas guzzling vans. The process utilizes a built-in powerful vacuum and a 150,000 bristle cylindrical brush which really gets all the dirt out without resorting to gas powered motor 100 feet away. Has been awarded the EPA Champion Status. We are also the owners of Ecosuds Products. We Distibute Solar Seal Stain, Soil, and U.V. Fabric and Carpet Protector. We are also Manufacturer’s Representatives for Jenesco Ozone Generators. These amazing devices will rid your home or business of almost all odours and eliminate most bacteria, fungi, and viruses that could make you ill. They do this with natural Ozone (simply 3 oxygen molecules) that readily convert back to pure oxygen after it has done it’s job. No chemical residues. No harm to the environment.